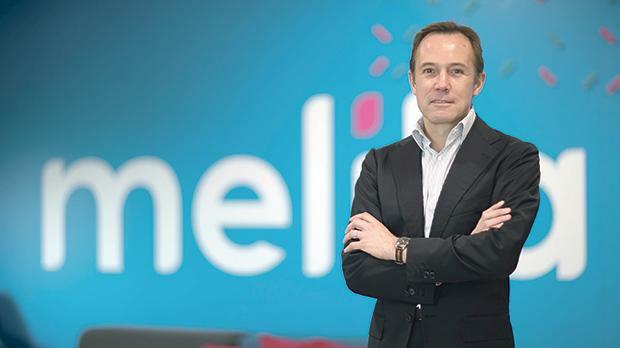 Melita’s decision to offer its internet service in Italy as from next month is an excellent opportunity for the company to grow, Harald Rösch, the company CEO, told The Sunday Times of Malta. Mr Rösch said the decision to enter the Italian internet market was the result of a combination of factors. “The first is what we have to offer: Malta is a great and growing market, and one which benefits from an excellent telecommunications infrastructure. Very few countries in the world have nationwide gigabit internet, or even the 250 Mbps internet starting speed that our Flexi Bundle customers get. “Additionally – hopefully as our customers have noticed – over the last couple of years we’ve put a lot of focus on customer service. The result of this is that here in Malta we have a team which, within our industry, has world-class expertise in both networks and customer experience,” Mr Rösch said. He said Italy presented Melita with an excellent opportunity to grow – and not simply because it is geographically close to Malta. “The penetration of high-speed internet in households is one of the lowest in Europe and our market research showed us that our Italian neighbours would love to have the sort of high speed, reliable internet access that we have in Malta. “Within Italy, Open Fiber is building a brand-new broadband network for wholesale purposes, meaning that internet service providers like ourselves can use this network to offer internet to homes and businesses, without having to invest in infrastructure. “In short, it’s our expertise and ambition, Italy’s market conditions and Open Fiber’s network all coming together,” Mr Rösch said. Mr Rösch said that in Italy, Melita, a Maltese telecommunications company established in 1992, will be launching a top qua­lity internet product very similar to the one launched in Malta last December, and one which Melita believes gives its customers one of the best internet experiences available in the world – a gigabit internet connection in homes coupled with StellarWiFi, which uses the latest WiFi mesh technology to create one’s own WiFi network within one’s house. “This means that you get the fastest possible WiFi speeds throughout your home. We know that both in Malta and in Italy, getting a fast internet connection regardless of which room you’re in, or how close you are to your modem, is something people really want – particularly for those who spend a lot of time online. “Our mesh WiFi technology, which is provided by Plume, not only offers better WiFi to our customers but also gives them the ability to control their home WiFi via an app – even if they’re not at home. For example, they can check the connection speed, see what devices are online, block access to a particular website from a certain device or even give their kids a ‘time-out’ from being online,” he said. Mr Rösch said Melita will be initially launching in eight cities ‒ Milan, Turin, Monza, Florence, Naples, Bari, Palermo and Catania, and will be following up with a further six cities later this year. Looking beyond that, Open Fiber aims to cover 18 million homes in Italy within a few years, meaning that Melita internet will then be available to the vast majority of Italian households. He explained that Melita Italia has already been set up as a stand-alone company headquartered in Milan. “Our main local partner is Open Fiber, who are providing the internet network. We are also working very closely with retail partners to provide hundreds of sales points across Italy,” he said. Riccardo Ruggiero, the executive chairman of Melita Italia, will lead the Italian team. Mr Ruggiero, the former CEO of Telecoms Italia, will also be liasing with all the people in Malta who are supporting the launch and the ongoing operations in Italy. Mr Rösch said that company’s target launch date in Italy is by the end of next month. “Clearly, as we will target the high end of the market, our market share objectives are much smaller than our position in Malta – we intend to be a niche player in Italy. However, because the market is much larger, we are aiming to have at least as many customers in Italy as we do in Malta,” he added.